Giving thanks to fellow employees is a great way to honor them and remind them they’re appreciated. 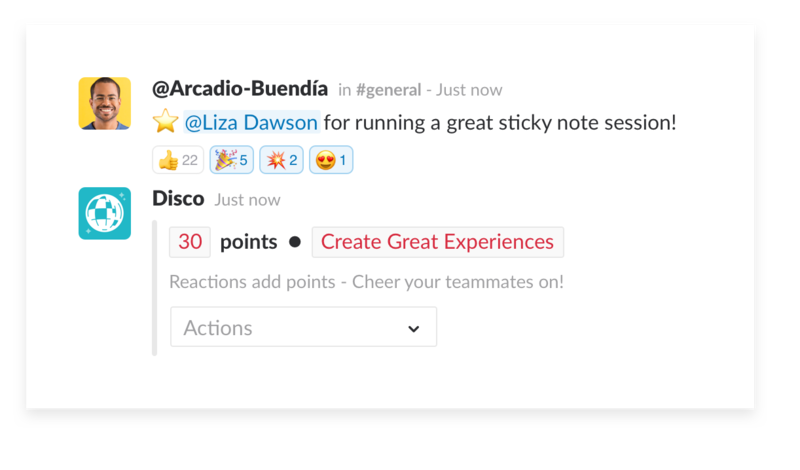 And thanks to apps, it’s easy to recognize your team and coworkers in Slack. 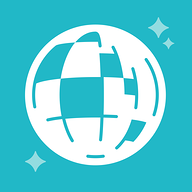 Use a “kudos” systems to give out perks to employees for a job well done. 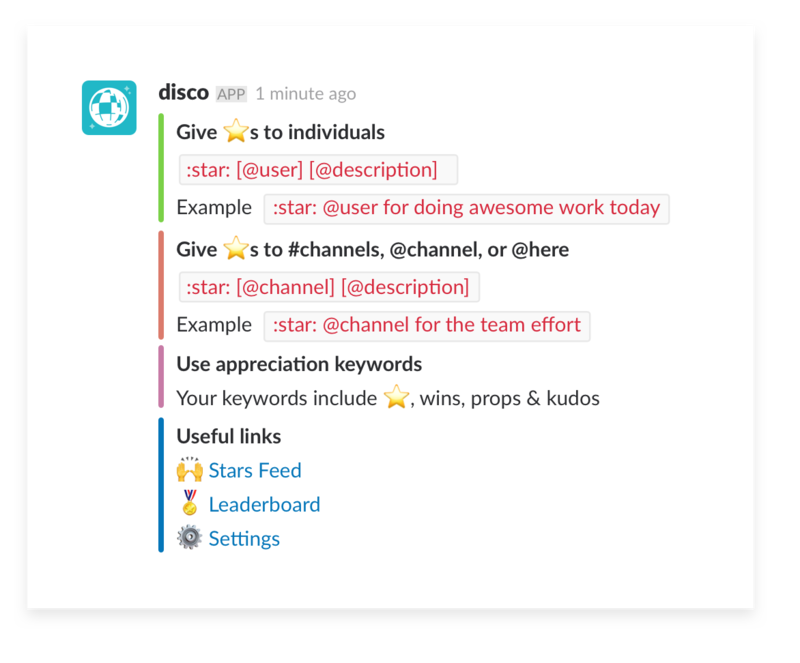 To highlight employee work, sign up for an account at Bonusly or Disco and add their team recognition app to your Slack workspace. Post instructions on how to give thanks to others and pin it to the channels where the bot was invited, so everyone can take part.